India has made itself a name as a large exporter of perishables and pharmaceuticals. But diamonds? Up to now, it’s been a well-kept secret known only by insiders that these high-priced and extremely well-guarded items are a main commodity flying from Belgium to India - and back. It all starts in Antwerp, the world’s number one trading hot spot for gems and diamonds, where about 80 percent of the world production passes through. A huge business, that becomes even more lucrative when the raw diamonds arriving at Antwerp are flown to Mumbai, where they are polished by local specialists, adding much value to the jewels and forwarded back to their traders the same way right after. A year ago, Jet axed its Brussels hub, leaving the door wide open for competitors. 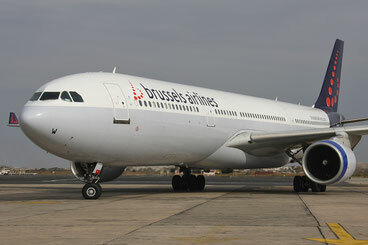 An opportunity, Brussels Airlines did not miss. As of March 13, a passenger Airbus A330-200 will serve the sector BRU-BOM-BRU five times a week, offering ample space for cargo in its lower deck compartments. The new route secures direct transport of not only gems but also machinery parts, perishables, pharmaceutical, clothing products and more. This all the more since his airline offers forwarders and shippers end-to-end solutions, including quick ramp transfers from aircraft to aircraft at BRU through temperature controlled “Pharma Dollies.” It’s a ground support equipment that has become an essential part of the entire cool chain, preventing goods from heating up or freezing while being transited at BRU from the incoming to the outgoing flight and from and to the warehouse. 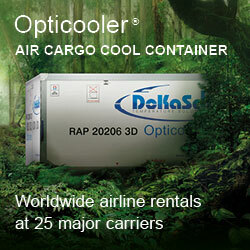 Cargo is a key element ranked very high by the carrier’s management. “A year ago we decided to increase our focus on air freight, giving this business more strategic importance,” explains Geert. Since then many steps have been taken to realize this intent. One of the key decisions was to fully integrate the members of the Brussels unit of the GSA Air Logistics Group into Brussels Airlines Cargo as from Jan 1st 2017, upping the division’s staff at the carrier’s BRU headquarters from 10 to 18. 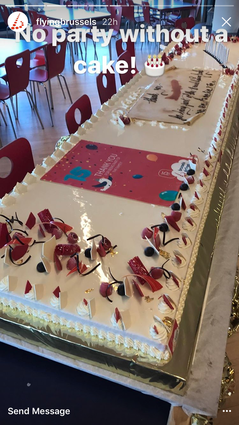 “This way we were able to introduce new areas of activities like streamlining inbound and outbound capacity management of our flights,” explains Alban. The manager went on to say: “For developing the product portfolio and, accordingly, streamlining and monitoring processes we created the job of business development and interline management. Reinout Puissant our former Regional Cargo Sales Manager Africa has taken on the responsibility.” These and other efforts to push cargo up front, states Geert Sciot, are supported by IT investments to enhance data quality and information flows. The results are stunning; the load factor went up, so did the tonnage and transport quality improved remarkably. 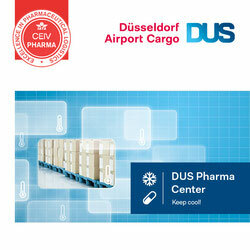 Finally yet importantly, there is a positive upbeat mood in the air freight division. So the pressing question is which future Brussels Airlines Cargo will have after Lufthansa has taken over the carrier completely. Geert points out that it’ll need a year of adjusting and fine-tuning business processes, only then a final answer to the further path of the carrier’s freight division can be given. What makes him, Alban and the entire cargo team quite comfortable is that “Lufthansa has recognized Brussels Airlines’ role as Africa specialist within the Group, Mr Sciot says. 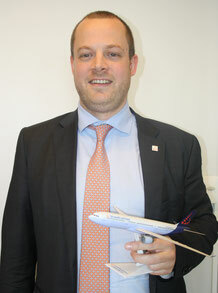 He adds to this other encouraging aspects: “They fully support our growth.” This is evidenced by a 10th A330 passenger jetliner Brussels Airlines will add to the fleet in the coming weeks, allowing frequency increases to and from Africa and serving new routes, like Brussels-Mumbai. Last year SN Cargo transported 40,000 tons. Due to an additional long-haul aircraft, internal measures like managing the capacity proactively and the network enlargement a 30 percent leap in volumes Alban and his team forecast until 31 December of this year.